Why don’t you vote for me? Not everyone in North Sydney would pay to meet Bronwyn Bishop. 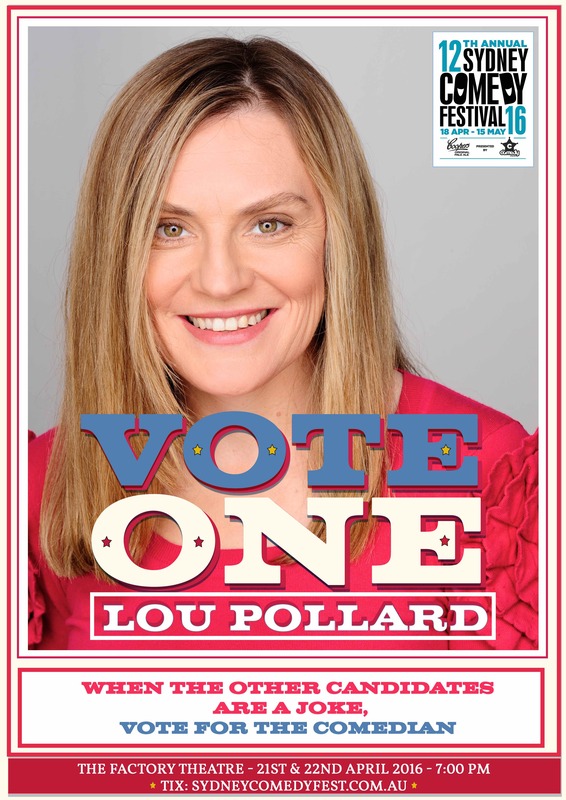 This Thursday April 21st and Friday April 22nd, I’m performing my funny new show all about Australian politics, Vote One Lou Pollard at the Factory Theatre in Marrickville for the 2016 Sydney Comedy Festival. In this election year, come along and hear my crazy tales of politics in North Sydney.